Can't decide on the perfect gift? 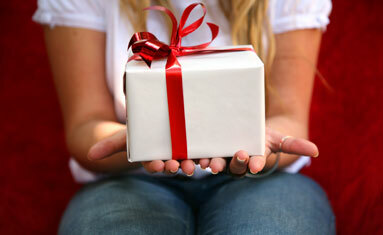 Send the gift that lets them choose for themselves: a Balanced Body Pilates gift certificate. It's available online in the denominations below. Or you can call us to order a gift certificate in any denomination. Gift certificates are easy to redeem by mail (but, unfortunately, not yet online) and standard mail delivery within the United States is free. Your gift certificate will arrive blank so you can customize it with the name of the recipient. To order other denominations, please call 1-800-PILATES (1-800-745-2837). Roll through a fun, full-body workout on multiple planes! Cushioning for hard surfaces, or over a carpet.